In its ongoing mission to modernize the best in classic automotive designs, ICON has partnered with Banks Power to build a very special one-off Dodge D200. 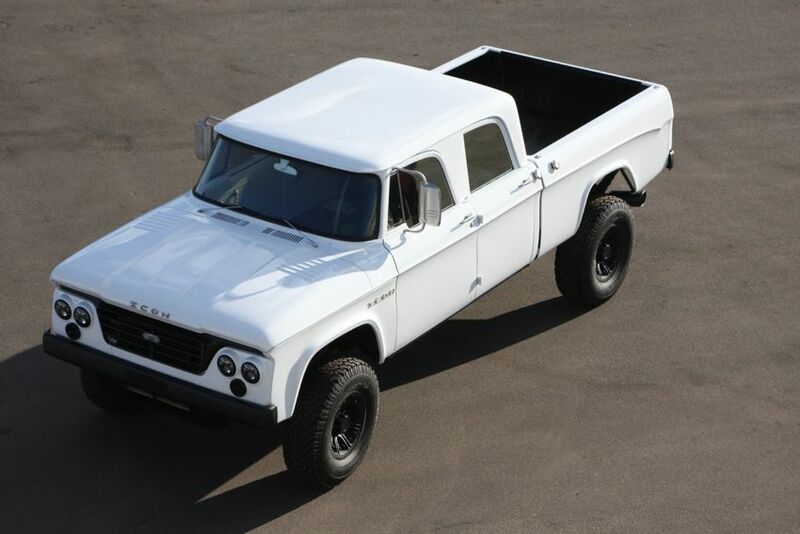 Set to debut at SEMA 2012, the ICON D200 will be based on the landmark 1965 crew cab, one of the vehicles to pave the way for America’s passion for powerful, reliable, crew cab trucks. 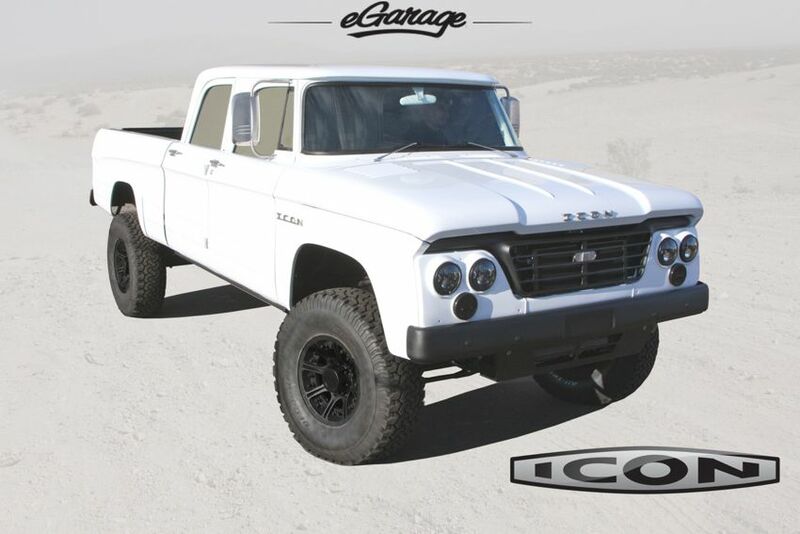 Conceived in concert with ICON’s new custom Derelict and Reformer series, the overarching goal of the design study will be to create a modernized daily driver capturing the brawny, iconic design of the 1965 Dodge truck. The fully restored ICON D200 will echo all of the classic crew cab’s design strengths with mild custom nuances, and decidedly modern performance and comfort. As ICON restores the D200 truck in its trademark style, build partner Banks Power will be tuning and upgrading a modern-day Dodge 3500 series pick-up chassis and mechanical systems as the backbone of the vehicle. 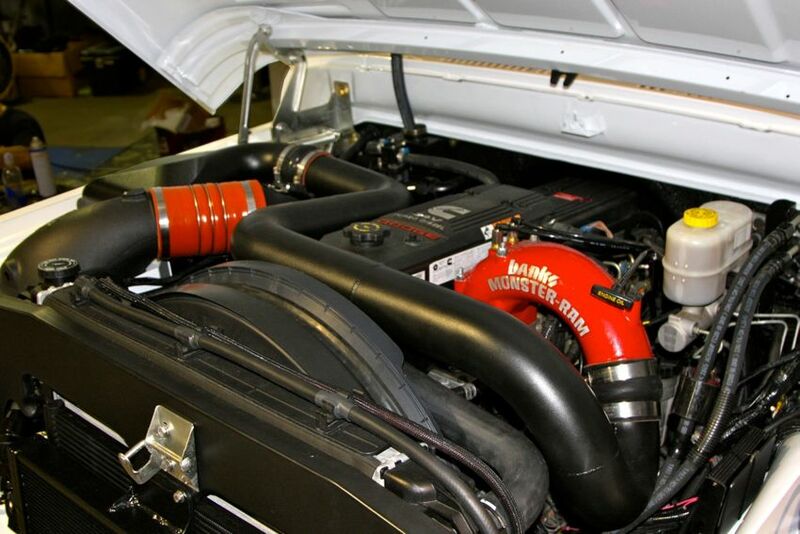 At the heart of what promises to be an extremely powerful truck, Banks Power will be outfitting the ICON D200 with a 5.9 L Cummins engine increased to offer a wicked 975 lbs. of torque. Additional accouterments planned for the D200 include a Six-Gun® Diesel Tuner, Banks iQ® Man-Machine Interface, Monster Ram® Intake Manifold, Banks Monster® Diesel Dual Exhaust, Banks Power PDA Screen® and a Banks Brake® Exhaust Braking System. In addition to Banks Power’s myriad contributions, other details abound including a special interior featuring free-range American Indian Reservation sourced bison leather especially designed in collaboration with Parabellum Collection. D200 suspension will include 4 and a ½ inch Baja 1000 Chase lift kit equipped with Fox 3.0 reservoir shocks. The design will also include Hutchinson 17 x 8 Monster WA-1175 series rims in a matte black finish shod with BF Goodrich all-terrain 37” tires. Headlights will be provided JW Speaker. Audio will include a JL Audio sub woofer and amp alongside a 165 KRC series mid range speakers and tweeters. 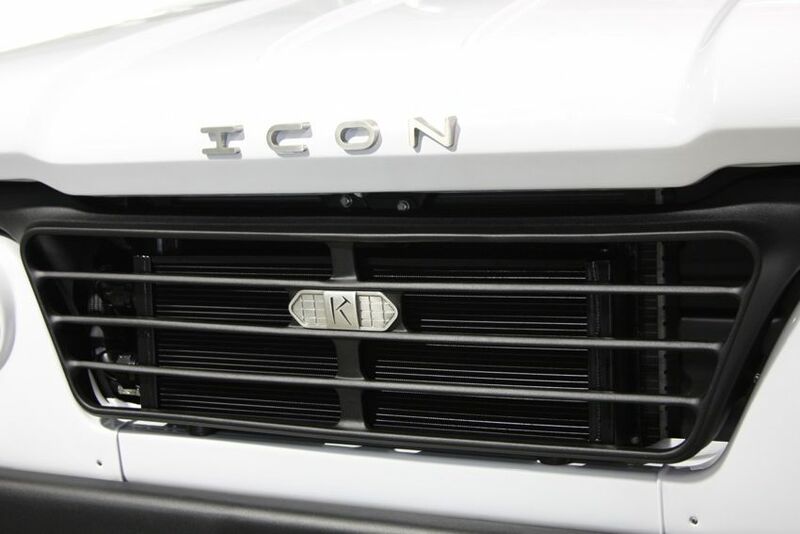 Loner Industries assisted with the fabrication of the custom-made tailgate latches, mirrors and various trim pieces designed at ICON.